Pope Francis celebrated morning Mass reminding Christians not to go through life simply by cultivating their personal advantage but by looking out for the interests of others, without expecting anything in return. Pope Francis has warned that “rivalry and vainglory” have the power to destroy the very foundations of communities by sowing division and conflict. 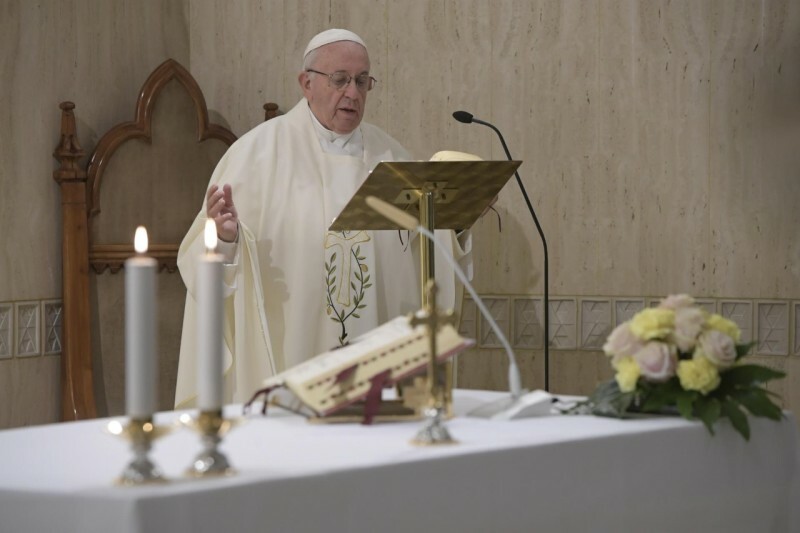 Speaking on Monday morning during the homily at Mass at the Casa Santa Marta, the Pope reflected on the Gospel reading of the day that reaffirms the importance of giving freely. Gratuitousness is universal, not selective The Pope explained that Jesus’ teaching is clear: “do not do things out of [self-]interest”, do not choose your friendships on the basis of convenience. And referring to the first reading in which St. Paul speaks to the Philippians, he urged the faithful to “do nothing out of selfishness or out of vainglory” but to humbly regard others as more important than themselves. The Pope also mentioned the negative effects of gossip, which he said, stems from rivalry and is used to destroy others. “Rivalry is ugly: you can perpetrate it openly, in a direct way, or with white gloves. But it always aims to destroy the other and to ‘raise oneself up’ by diminishing the other.” Rivalry, he said, stems from self- interest. Conceit destroys communities Equally harmful, the Pope continued, is someone who prides himself on being superior to others. This attitude, he said, destroys communities and families: “Think of the rivalry between siblings for the father’s inheritance for example”, it is something we see every day. Christians, Pope Francis said, must follow the example of the Son of God, cultivating “gratuitousness”: doing good without expecting or wanting to be repaid, sowing unity and abandoning “rivalry or vainglory”. “Building peace with small gestures paves a path of harmony throughout the world” he said.